Developers and entrepreneurs alike now have new reason to think Madera when pursuing new business interests in the Central Valley. This comes as three new development incentive programs were adopted by the Madera City Council during Wednesday night’s City Council meeting. Spearheaded by a City Council subcommittee comprised of councilmembers Will Oliver, Charles Rigby, and Jose Rodriguez, a series of meetings were held with community groups to identify ways the City could make it easier for property owners and builders to invest in Madera. What resulted was the introduction of three new incentive programs that provided for significant savings in city permit and processing fees for projects taking place in the following categories: the development and redevelopment of properties in downtown Madera; the remodel and renovation of older buildings and buildings that have experienced long vacancies anywhere in the City; and building projects that will be used in conjunction with tax exempt, non-profit operations. No-cost permit streamlining services were also introduced as a way of helping to expedite projects through the permitting process. View the report to City Council with more information about the incentive programs here. 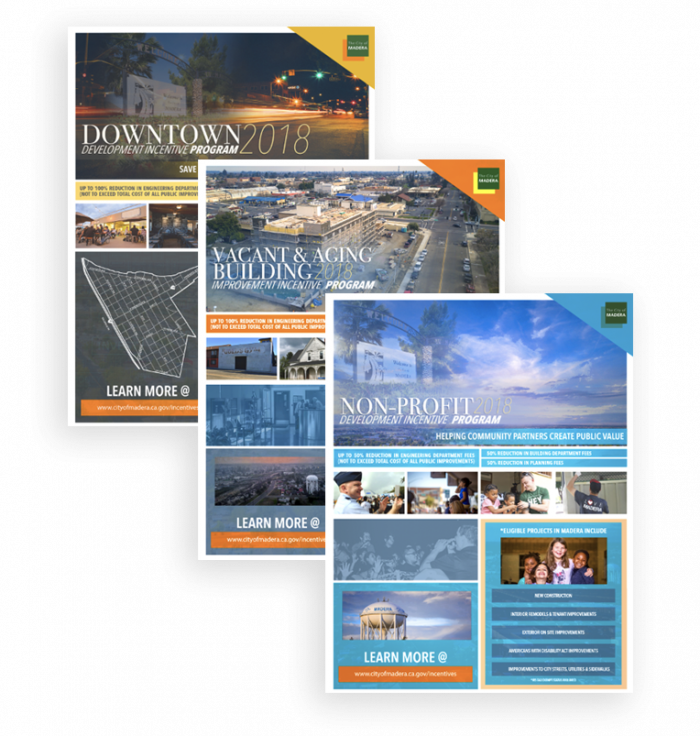 Those interested in learning more about the new incentive programs can view them on the City of Madera’s website: www.madera.gov/incentives. Questions should be directed towards Dave Merchen, Community Development Director, at (559) 661-5430 or dmerchen@cityofmadera.com.